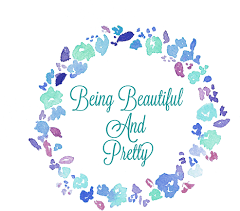 We all need a good sunscreen and honestly its very difficult to find a perfect one! 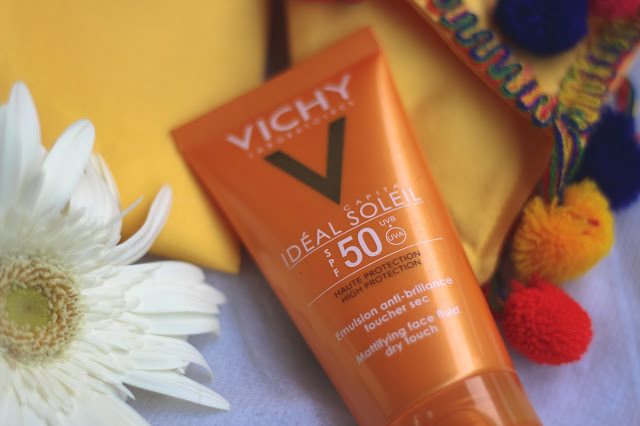 I love my Suncote Sunscreen but I wanted a change so went to try out Vichy Capital Ideal Soleil Haute Protection SPF 50. 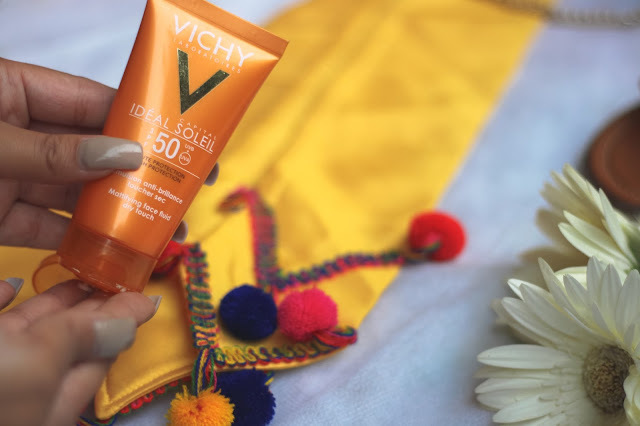 Vichy Capital Ideal Soleil Haute Protection SPF 50 costs 1658 INR for 500ml. You guys already know how much I love Vichy as a brand, Vichy Miracle solution is a must have for me so thought why not give their sunscreen a shot too! 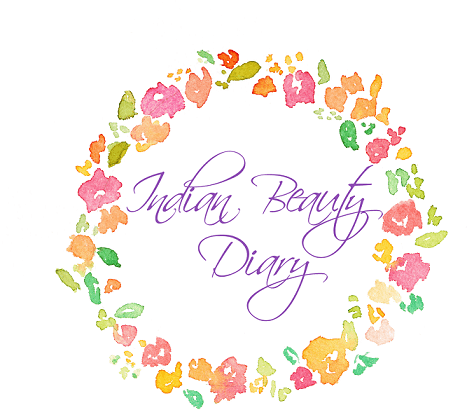 As I have super oily, acne prone skin so I am always scared that a product will break me out. Scared me gathered all my courage and gave Vichy Capital Ideal Soleil Haute Protection SPF 50 a shot. Its a white colored medium consistency lotion which smells amazing. Lotion takes a minute to get absorbed into the skin and one has to massage it in. Once gone you can see a slight white caste on skin which vanishes after half an hour or so. The lotion works ok on my oily skin, tends to get a little oily after 4 hours but on my mum's skin it works like magic. So I would say its great for people with normal and dry skin or for mature skin too. I have tried it under makeup and it does not show up under makeup in pictures. For me it gets a little oily so I blot off oil and its all good again. 1. Its has UVB + UVA protection. 2. 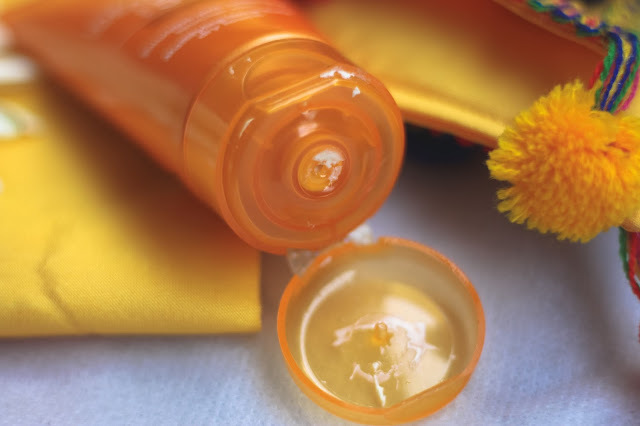 Cream lotion is quite moisturizing but not sticky. 3. Lotion gets absorbed into skin in a minute and once absorbed it does not leave any oily residue. 4. SPF 50 totally works and protects sun for damaging. 5. Works well under makeup, does not show up in pictures. 6. Works very well for mature and dry skin. 3. Has a little white caste. 4. Not very suitable for oily skin. 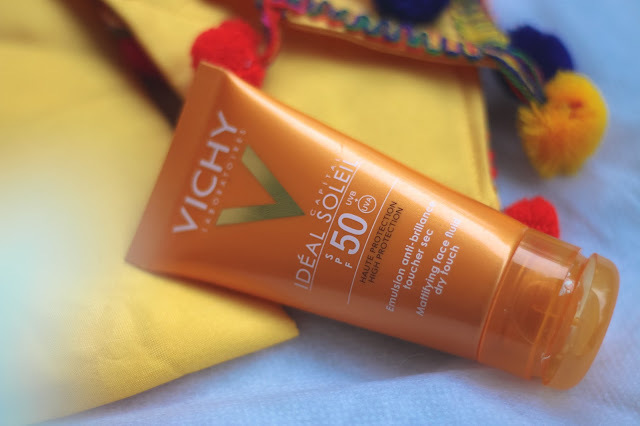 Vichy Capital Ideal Soleil Haute Protection SPF 50 is a great sunscreen for all normal, dry and mature skin. Those moisturizing sunscreen goes well under makeup. Just be ready for a slight white caste. 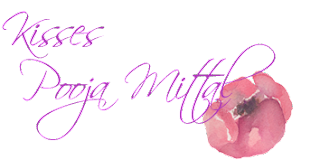 Such a great product, I love this brand! 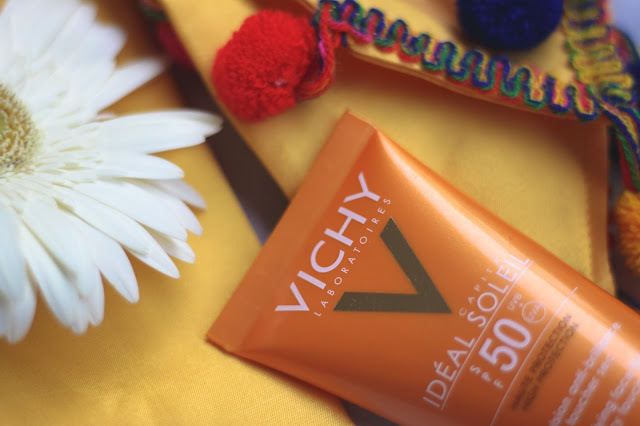 Vichy Capital Ideal Soleil Haute Protection is available online ? 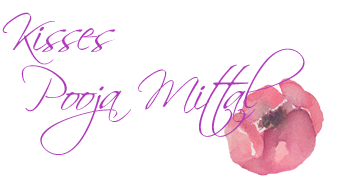 I have few Myntra cashback coupons , can i buy it online from myntra.com ? Truly a great product, I too love the products of Vichy brand. I had just used it once and the results where good. But after some time my cousin came to my house and recommended me lifecell all in one cream and after using that I was just amazed that my skin just look awesome and move bright.